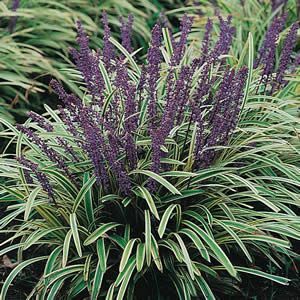 Variegata has the same excellent qualities as the solid green Liriope, but with the brightening effect of the yellow and green striped grass-like foliage. 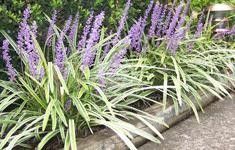 Its lilac purple flowers are striking in July and August. 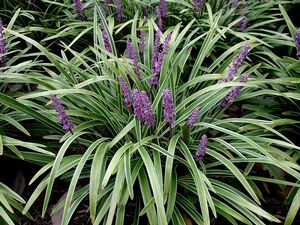 It also reaches 12” in height and its tufts make a classic ground cover.